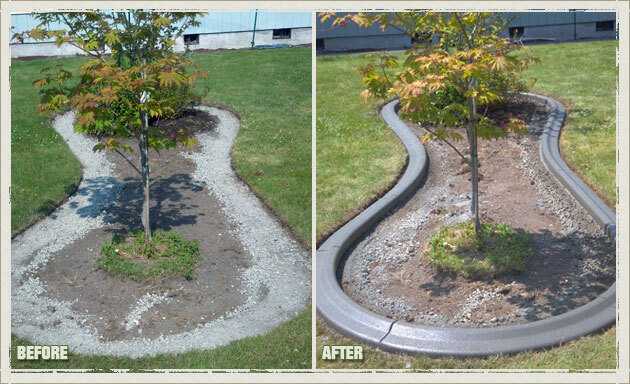 When you think of landscape boarders, what do you envision? 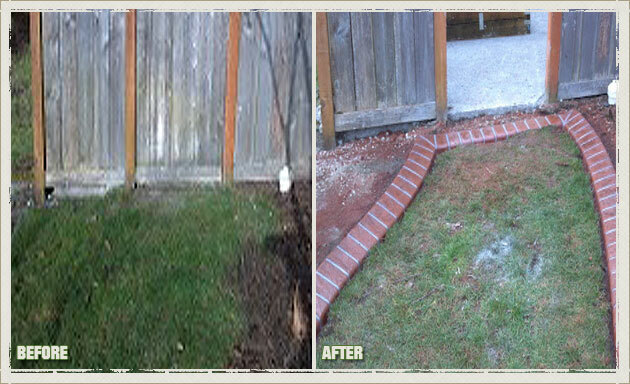 Do you see plastic strips winding precariously through your yard, supported by green plastic stakes? 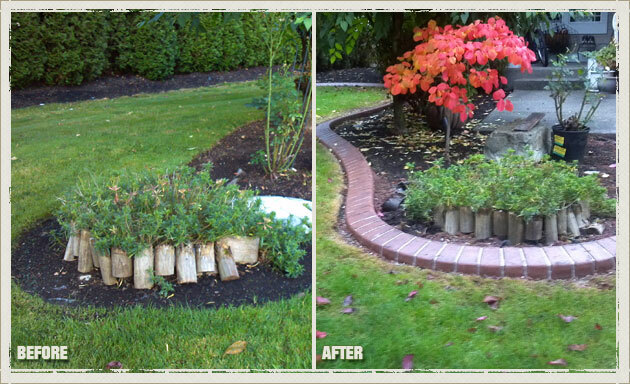 Or do you see rotting wooden slats attempting in vain to hold back piles of beauty bark? 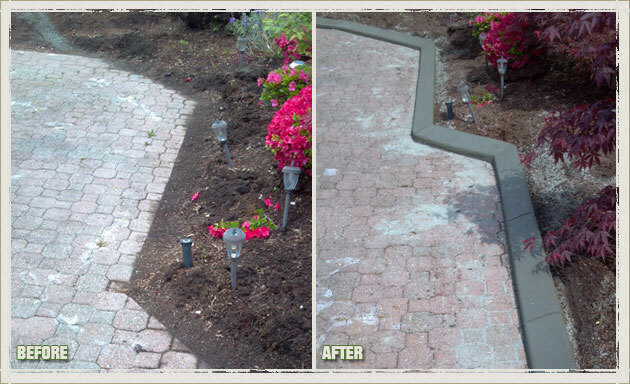 If this sounds anything like you, you owe it to yourself to give the experts at Curbzilla a call. 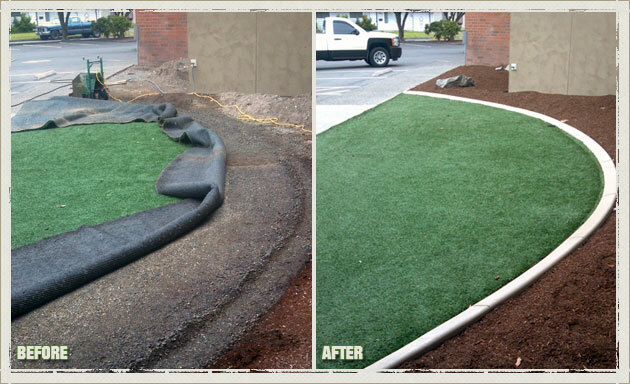 At Curbzilla, we install seamless landscape boarders constructed of solid concrete. 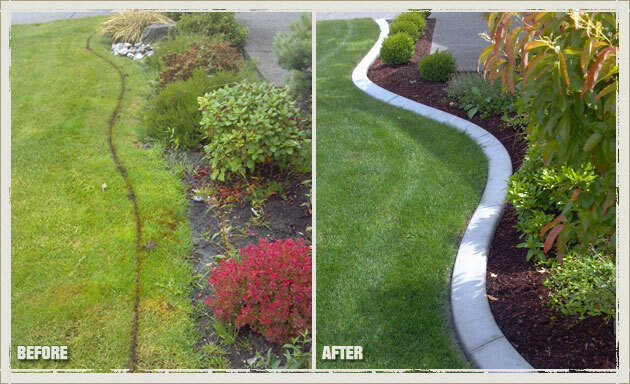 Our landscape boarders are virtually zero maintenance, and don’t ever bend or buckle under a load of beauty bark. 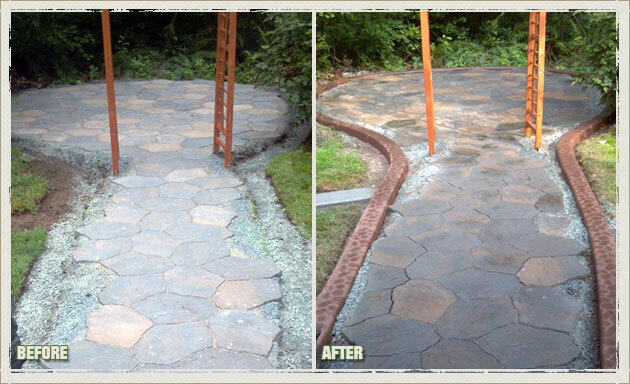 You never have to support it with unsightly stakes, and it is invulnerable to rot or rust. 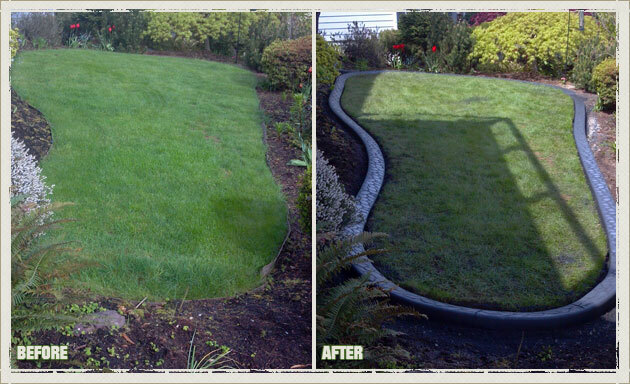 Our landscape borders are the perfect blend of durability, functionality, and affordability! 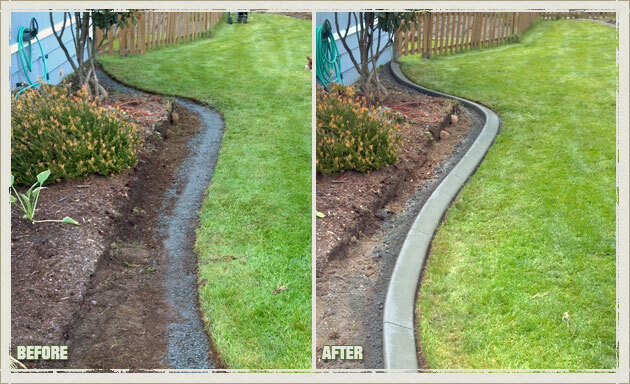 Our concrete curbing is designed and built specific to each home that we work on. 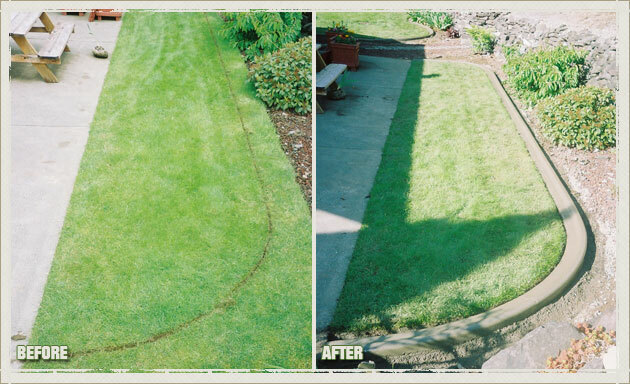 This means that we take the time needed to ensure that you are truly receiving a high quality custom product. 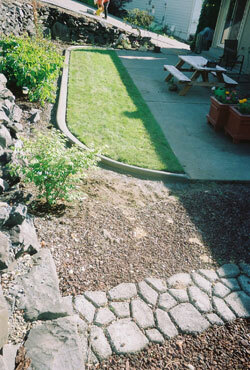 We bring the raw materials to your site, and after understanding exactly the look you are going for, we build your concrete curbing specific to match your style. 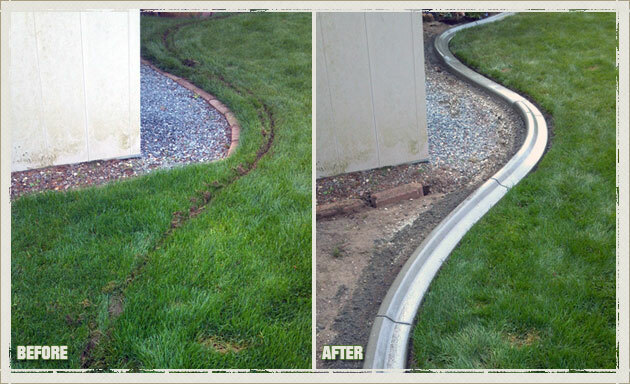 As we install your concrete curbing, you’ll be amazed at our time efficient methods, and our carefulness to not mess up the yard around us. 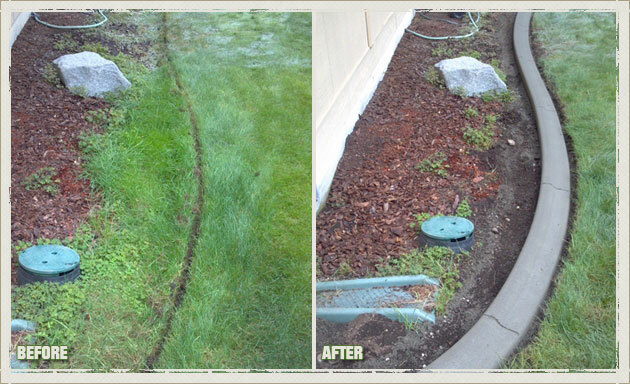 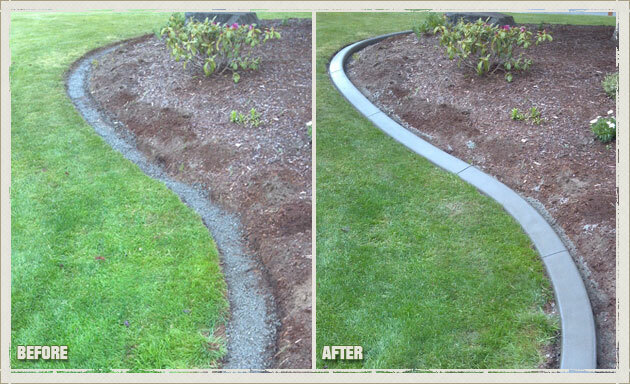 Why Choose us for Your Gig Harbor Concrete Edging Needs? 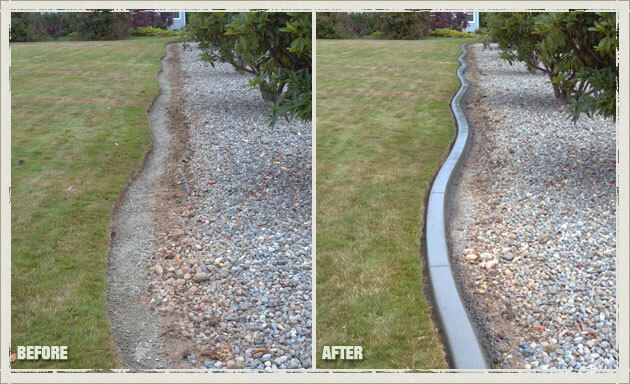 When you combine Curbzilla’s quality craftsmanship, top-of-the-line materials, expertise in the industry, and our commitment to customer service, you truly wont find anyone better within a 1000 miles of Gig Harbor to take care of your landscape borders and concrete curbing. 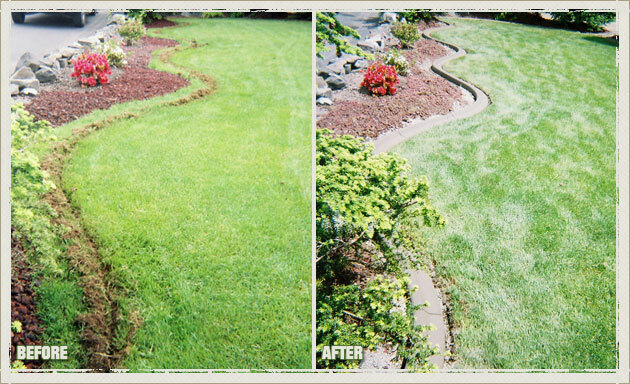 When you are ready to take your yard and lawn to the next level of professionally designed, custom installed, beautiful landscape borders; contact the experts at Curbzilla. 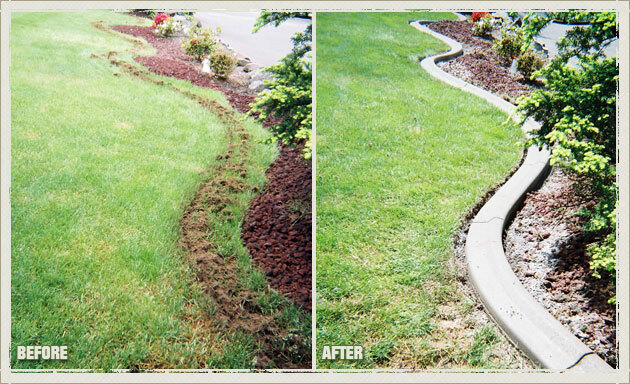 We wont rest until your yard is turning heads and you are satisfied.